According to the Coordinator for Alumni Relations and Job Placement Office Ms. Carolyne Dale A. Castañeda, this 50th year’s celebration will surpass the prior celebrations that new activities were included which will cater to the needs of the College, including needs of the communities, and activities which may even extend to national and international connections. One of the highlights is the first ever Search for the Most Outstanding Alumni including Most Outstanding Alumni awards conferred on alumni who have demonstrated exceptional achievements and outstanding contributions in their chosen fields, which ultimately contributed to the honor of the College. “This may not only be a way to recognize our alumni in relation to their contributions to the College but also for us to have a clear view of their whereabouts. We also have a lot of interesting activities such as Jobs Fair on April 26 at the MPSPC College Auditorium that will cater to interested applicants. Various agencies from Baguio City, Benguet and Manila will be coming to assess and seek for employee applicants. We also have capability building and social accountability and election forum for the MP voters aiming to uplift and empower them of their rights to voting. With all these exciting events, we therefore encourage everyone to come and join us in this important event,” Ms. Castañeda said. According to the Office of the Vice President for Resource Generation and Linkages, there will be visitors coming from National Yunlin University of Science and Technology who will be linking with the MPSPC Cordillera Textile Project and STIE Perbanas, Indonesia who will lead the Business and Management research mentoring on Home-Based internationalization and also to attend the Student’s Research Forum. MPSPC is continually strengthening her linkages with different agencies in the aim of reaching the peak of excellence as stated in the VMGO’s of the College. Recalling the programs initiated by the College, various extension programs includes tapping of local and national resource speakers to share insights and inviting international speakers to share about the culture and practices done in their respective countries. Activities for the Golden Anniversary celebration also includes MPSPC employees dual meet, Mabuhay Pasasalamat for Retirees and Local Linkages, Frolics competition, Regional Annual Administrative and Tactical Inspection (RAATI), MPSPC Milestone competition, and Philippines Intellectual Property Rights orientation-seminar. In the speech of College President Dr. Rexton F. Chakas during the Charter Day celebration last January 17, he commended the past and present crops of political leaders for their initiatives with regard to MPSPC. 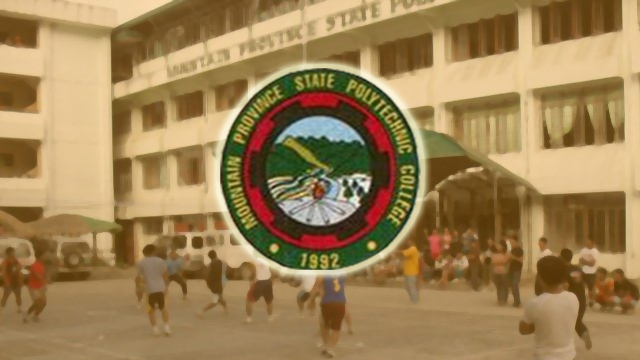 It must be recalled that the Bontoc Community College [later renamed as Mountain Province College] was established on April 10, 1969 during the incumbency of then Governor Jaime K. Gomez, Sr. The late Congressman Victor S. Dominguez successfully worked for the conversion of the college into a state institution. The late Congressman Maximo B. Dalog, Sr. worked for the conversion of the College into a university. The late Governor Leonard G. Mayaen and the present Governor Bonifacio C. Lacwasan initiated the funding of some projects of the College. “With the unending support that the community showed during the celebration of the Charter Day celebration, we are again soliciting them to continually extend their support on another remarkable event which is the Golden anniversary of the College,” said Dr. Chakas.